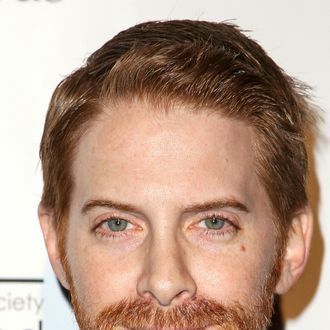 Seth MacFarlane will remain in the Seth Green business, as he has cast the actor to star in Dads, a comedy pilot from MacFarlane and Ted/Family Guy writers Alec Sulkin and Wellesley Wild. Green has long voiced the character of Chris Griffin on Family Guy. Dads revolves around two video-game entrepreneurs (Green and The Mindy Project’s Tommy Dewey) who have everything go to hell when their respective dads (Peter Riegert, Martin Mull) move in with them. Fox has already given the show a six-episode order. Too bad they didn’t get Mike Myers and just make the show about Dr. Evil moving in with a thirtysomething Scott. Zip it!